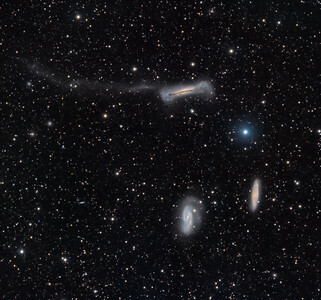 The Dorado Group is a loose concentration of galaxies containing both spirals and ellipticals. 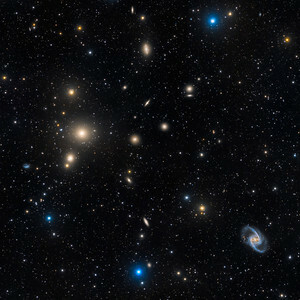 It is generally considered a 'galaxy group' but may approach the size of a 'galaxy cluster'. 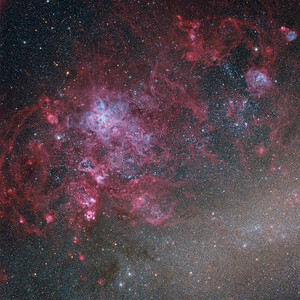 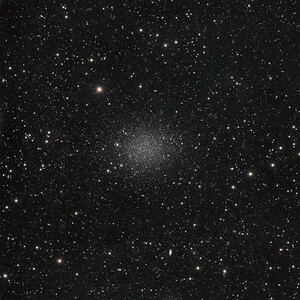 It lies primarily in the southern constellation Dorado and is one of the richest galaxy groups of the Southern Hemisphere. 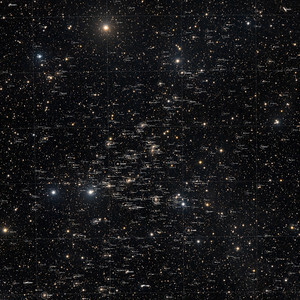 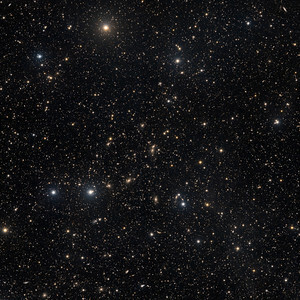 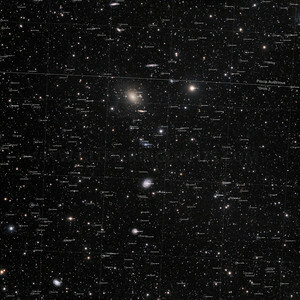 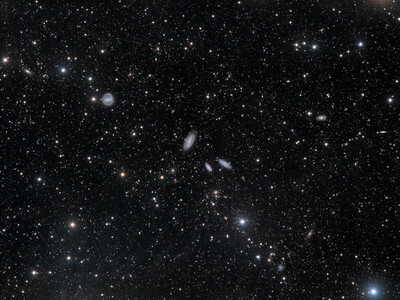 A rough distance estimate puts the cluster about 50 million light years away. 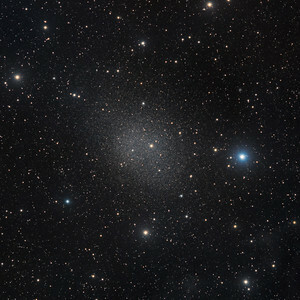 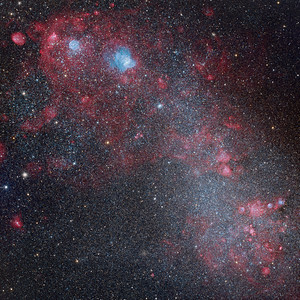 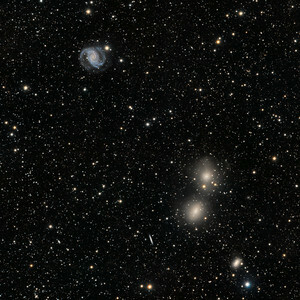 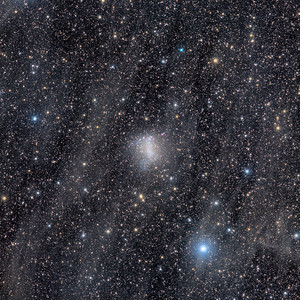 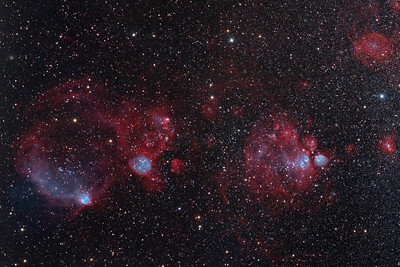 The dominant member of Dorado Group and also its brightest member is NGC 1566 (top left in the image). 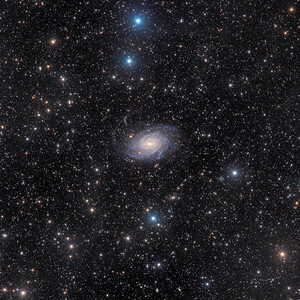 This is an intermediate spiral galaxy, meaning that while it does not have a well defined bar-shaped region of stars at its centre — like barred spirals — it is not quite an unbarred spiral either. 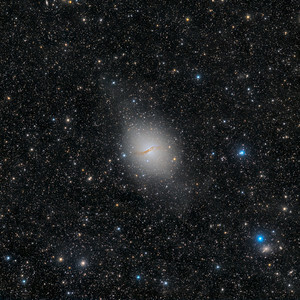 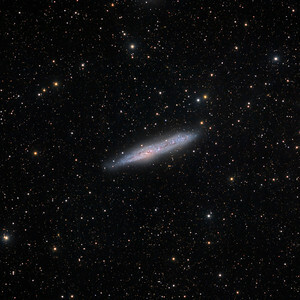 NGC 1566 is the second brightest Seyfert galaxy in the sky. 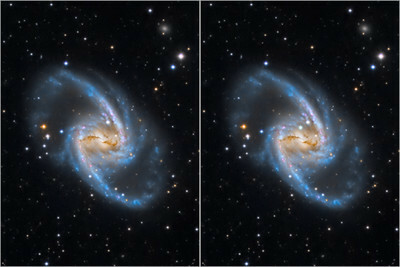 Seyfert galaxies have a very luminous nucleus with many of the characteristics of a quasar, though much less energetic. 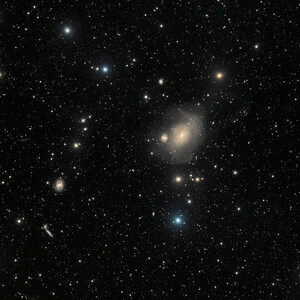 At the center of the Dorado group lie interacting galaxies NGC 1553 and NGC 1549 (center right on the image), respectively the second and third brightest member of the cluster. 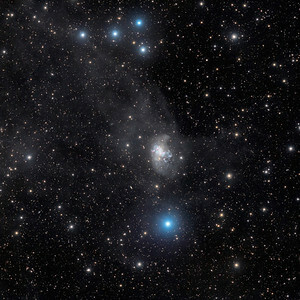 Their interaction appears to be in the early stage and can be seen in optical wavelengths by faint but distinct irregular shells of emission and a curious jet on the northwest side. 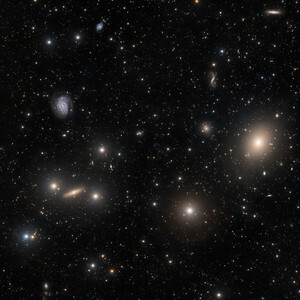 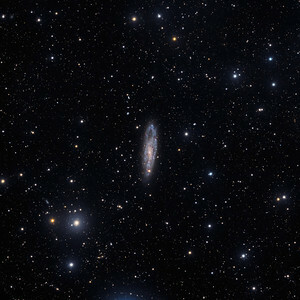 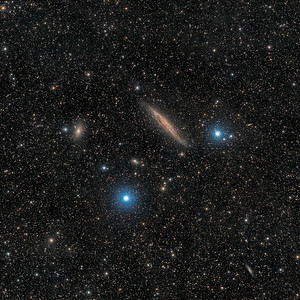 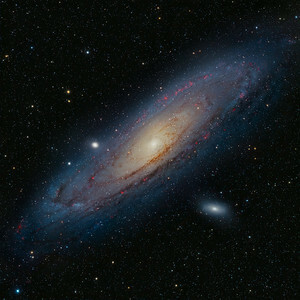 Another prominent galaxy at bottom right of the image is NGC 1546, an 11th-magnitude lenticular galaxy. 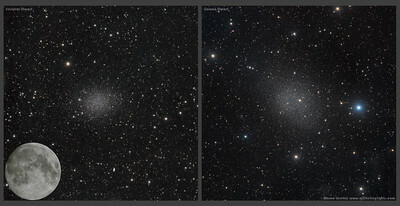 Many thanks to Sakib Rasool for suggesting this interesting target mostly overlooked due its proximity to the LMC.